Laura J. Massaro is Of Counsel in the Long Island, New York, office of Jackson Lewis P.C. She has more than 12 years of experience advising clients with respect to a variety of employment matters. Ms. Massaro advises clients regarding the development and implementation of effective employment policies, handbooks, procedures and contracts. She also advises clients on preventive practices, focusing on how to comply with applicable laws and regulations, avoid workplace disputes, resolve employee relations problems and satisfy legitimate employee expectations. 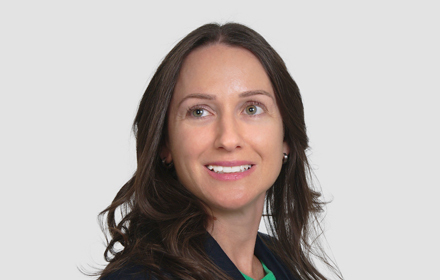 She has served as in-house corporate counsel to three different organizations and brings a unique perspective on client needs to the Long Island office. In addition to Ms. Massaro’s employment law experience, she also completed two federal judicial clerkships. She clerked for the Staff Attorneys’ Office of the United States Court of Appeals for the Second Circuit and she completed a two year clerkship for the Honorable Arthur D. Spatt in the United States District Court for the Eastern District of New York. During law school, Ms. Massaro was selected for the prestigious honor of Senior Writing Fellow and taught legal research and writing to first year law students during her final year at Tulane.